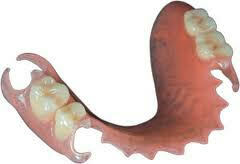 Monet Denture Lab provides many different ranges of dentures. 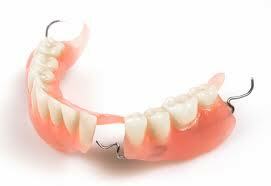 We can customize the denture type based on patient’s age, desired tooth shade, masculinity, or feminine feature, and natural tissue contours. 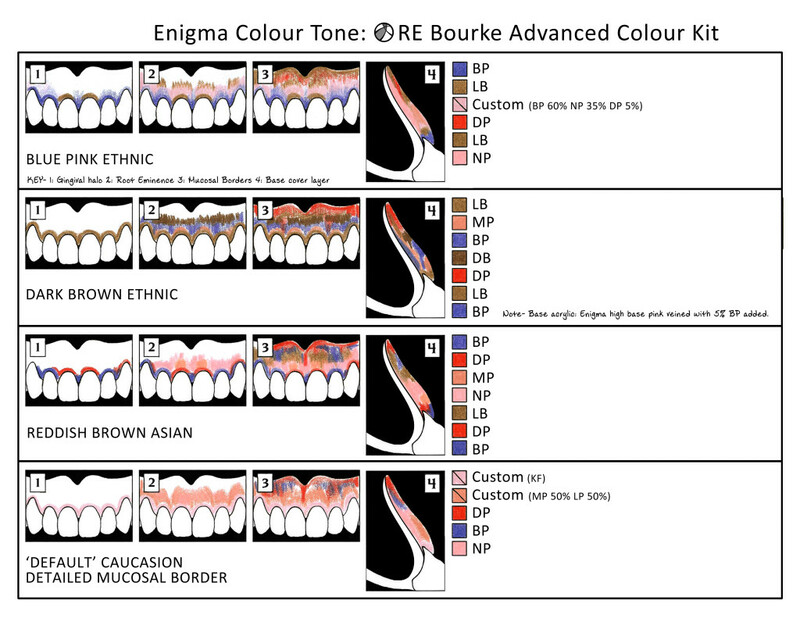 Every case is customized for comfort, functionality that gives the patient a lifelike smile by capturing their unique characteristics. 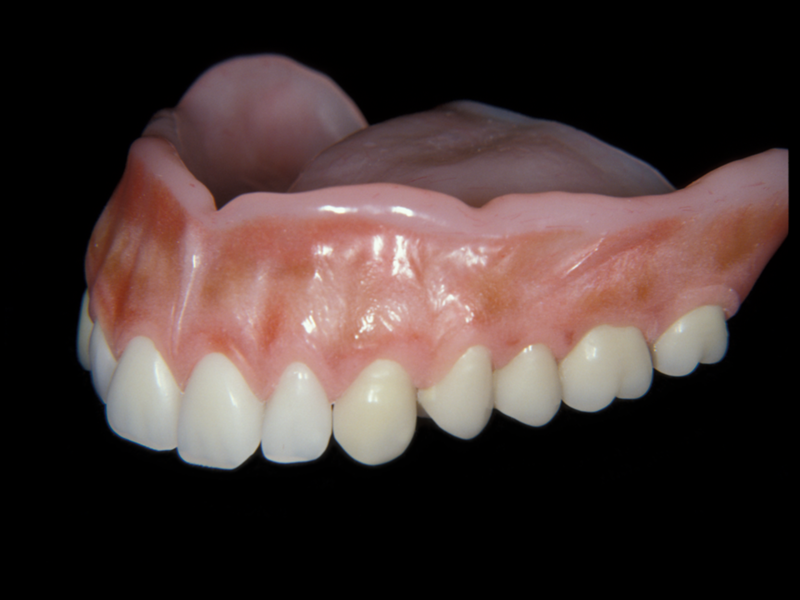 Monet Denture Lab promotes an aesthetic, self- cleansing and the appearance of natural tissue. We ensure a gap-free adaption for better long term stability. For patients who are allergic to acrylic, we ask that our dentist prescribe a vinyl- based material. 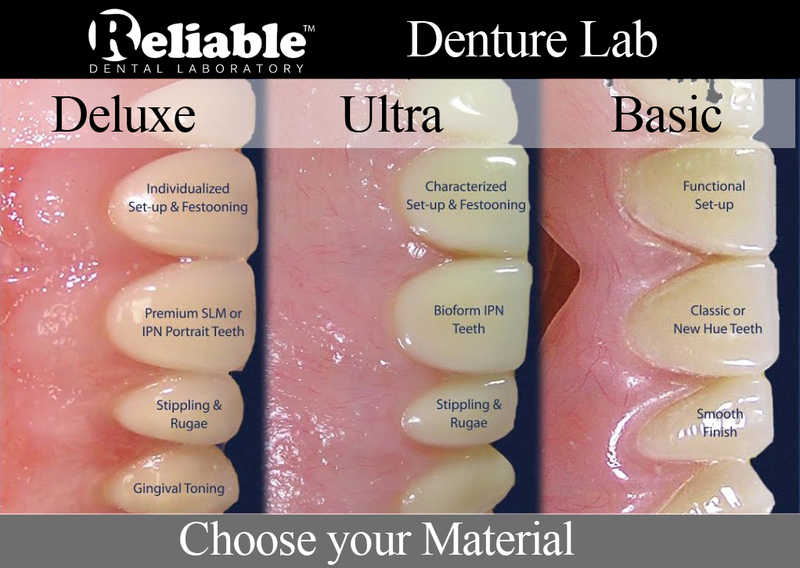 Reliable Denture Lab only offers a metal free flexible denture that is ideal for a cosmetic teeth replacement. 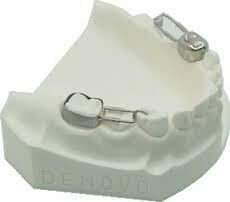 We also offer unilateral and flipper partials. 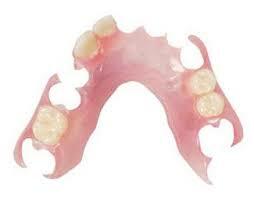 A flexible partial denture is practically invisible, lightweight, and a comfortable fit. 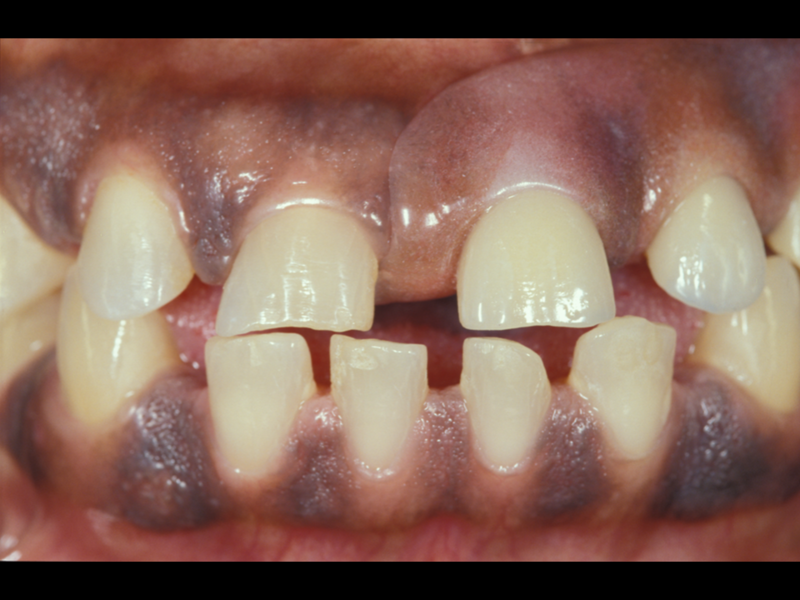 We realize that combination partial dentures cases are sometime a challenge for clinicians. Our removable team works directly with our crown and bridge department to properly design and survey all crowns that will become abutments for partials. Our lab works from master cast to produce the crowns, the framework, and set teeth all in one trip to the dental lab. Quality assurance is the benefit we provide all of our customers with microscopic checks that allow us to deliver consistency. 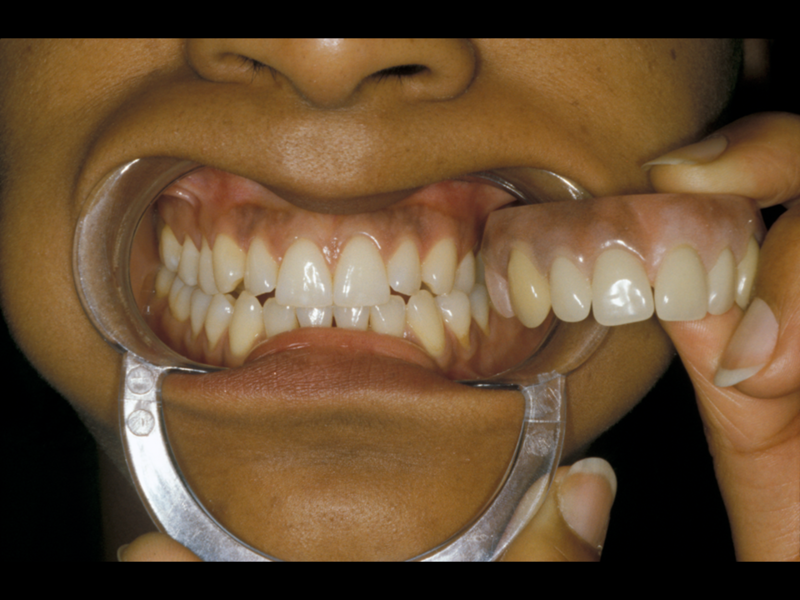 The all-on-four technique allows the patients to receive a full fixed screw-retained bridge. 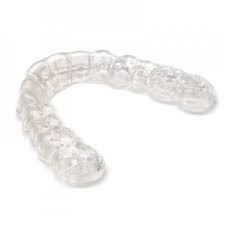 In some cases a same day delivery with the placements of four dental implants. By taking advantage of the density of the bone the remains in the anterior section of the arch and placing two posteriors on the angle to avoid the sinus cavities in the upper and the nerve in lower, this procedure can eliminate the need for bone grafting in many cases. Now patients can receive a no-removable bridge placed the same day as surgery. All-on-4 dental implant offer you the following benefits over alternative procedures such as traditional dental implants over dentures. Provides durable, long lasting results.